City Council considers ban on city-funded travel to N.C.
Josh Zakim filed the measure on North Carolina that the City Council plans to consider Wednesday. City of Boston workers may soon be banned from taxpayer-funded travel to North Carolina in response to that state’s passage of a law preventing transgender individuals from using public bathrooms that do not match their biological gender. 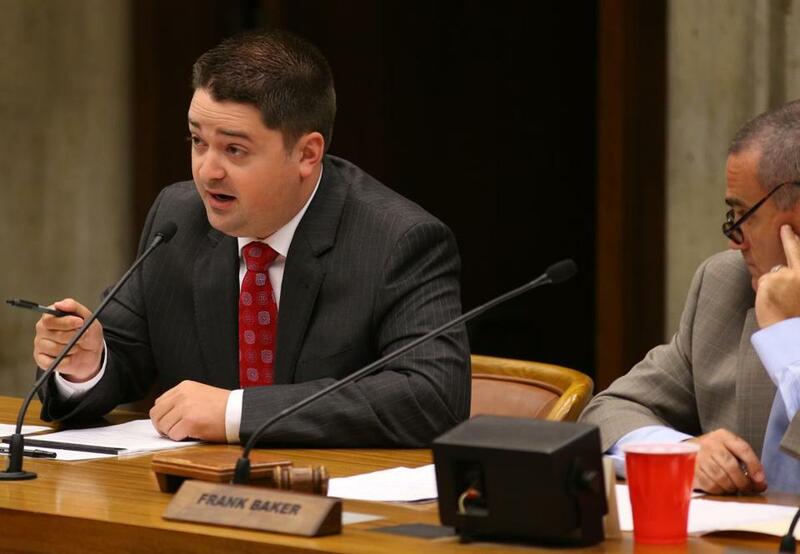 City Councilor Josh Zakim filed a measure Monday seeking the travel ban, and the City Council is expected to take up the matter at its weekly meeting Wednesday. The prohibition would be effective immediately after passage. Mayor Martin J. Walsh said he will sign the measure if the council approves it. “In Boston, we believe that all individuals should be treated equally, and I applaud Councilor Zakim for standing up against discrimination,’’ the mayor said in a statement. The measure bars North Carolina communities from passing antidiscrimination laws protecting gay and transgender people. The North Carolina legislation also creates a statewide antidiscrimination law that fails to protect the LGBTQ community, and strips municipalities of their ability to enact stronger antibias laws, Zakim added. Zakim’s measure states the city of Boston will not, in any way, financially support travel to North Carolina. It makes exceptions for workers whose travel is necessary to enforce the laws of Boston and the state, meet contractual obligations, or protect the public health and safety of city residents, the measure states. Mason Dunn, executive director of the Massachusetts Transgender Political Coalition, hailed the city for leading the way locally, and now nationally, on transgender inclusion. “We take a very strong stand against all biases and discrimination against transgender rights and North Carolina clearly infringing on the rights of the transgender people,’’ Dunn said. “What North Carolina passed has a very real and very harmful impact on the transgender community.” North Carolina’s General Assembly passed the Public Facilities Privacy and Security Act, in a special session, and Governor Pat McCrory signed it Wednesday. In a statement last week, McCrory said the basic expectation of privacy in the most personal of settings, a restroom or locker room, was violated by government overreach and intrusion by the mayor and City Council of Charlotte. Officials in that city had adopted an antidiscrimination ordinance, prompting the action by the North Carolina General Assembly and governor. “This radical breach of trust and security under the false argument of equal access not only impacts the citizens of Charlotte but people who come to Charlotte to work, visit, or play,’’ reads the statement, posted on the governor’s website. “This new government regulation defies common sense and basic community norms by allowing, for example, a man to use a woman’s bathroom, shower or locker room,’’ the Republican governor continued. Opponents of the statewide bill said it was passed during a rushed special session of the General Assembly last week, and that lawmakers had just five minutes to read it before a vote. Its passage enraged civil liberties groups and members of the LGBTQ community and their supporters. On Twitter, opponents of the bill have launched a massive protest called #WeAreNotThis that urges supporters to sign a petition demanding the governor “repeal this shameful law,’’ one tweet said. Detractors say the backlash engulfing North Carolina is akin to the social media revolt that targeted Indiana last year after passage of a religious freedom bill. Opponents argued that the Indiana measure, in its original form, would have allowed business owners to deny services to LGBTQ customers. That bill prompted Connecticut to ban state-funded travel to Indiana, and mayors in San Francisco and Seattle followed suit. Indiana lawmakers quickly amended the legislation in an effort to tamp down criticism.